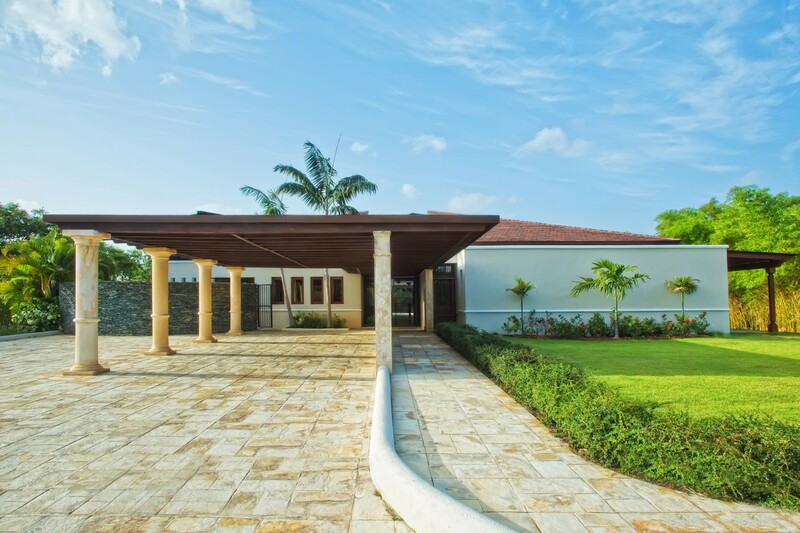 Villa Los Cisnes Casa de Campo Dominican Republic. 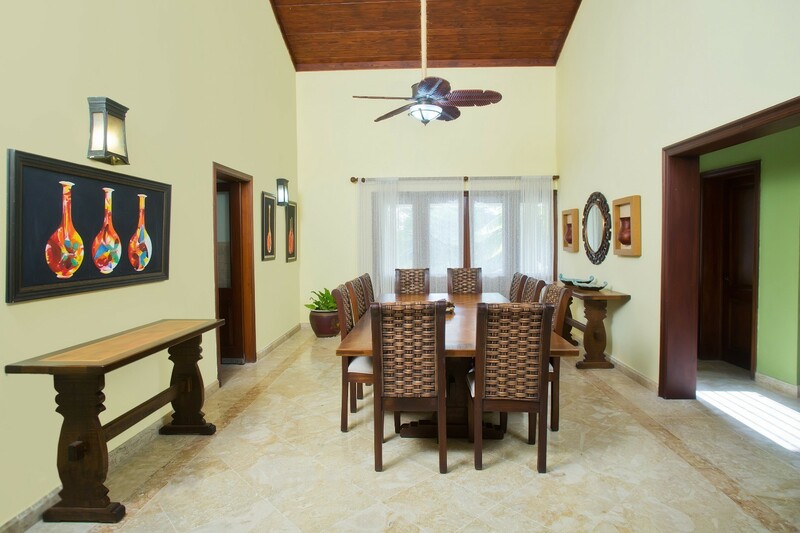 Does the idea of a spacious, luxurious villa with world-class amenities and resort services appeal to you? If so, the truly stunning Villa Los Cisnes is an ideal spot to consider. 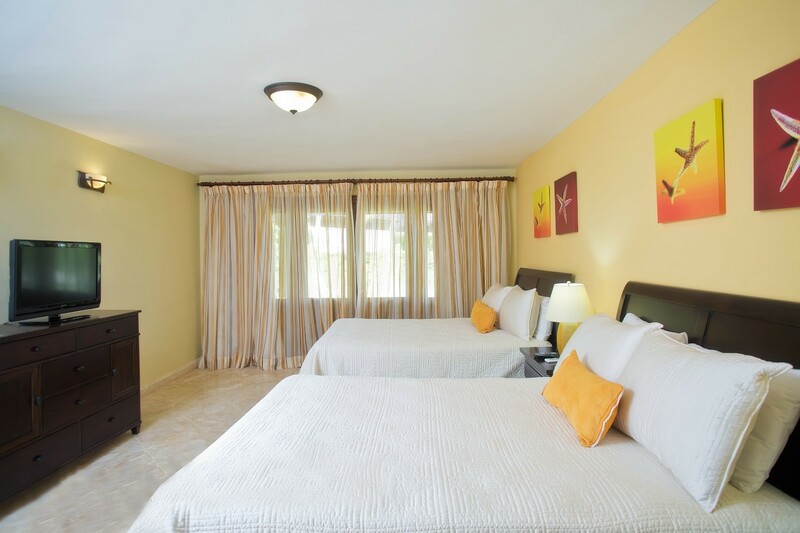 Set in the Casa de Campo Resort in the Dominican Republic, the five-bedroom villa is surrounded by beautiful and mature native trees and palms, and offers large families or groups of friends a welcome retreat. The heart of this villa is the impressive and spacious pool terrace. Featuring a circular pool and a separate whirlpool tub, it is framed in a smooth stone surround that leads you to the gorgeous lounging and dining pavilion or back beneath the portico attached to the villa. Though the outdoor living spaces have been carefully designed to offer a tidy array of options, inside this villa is even more to love. 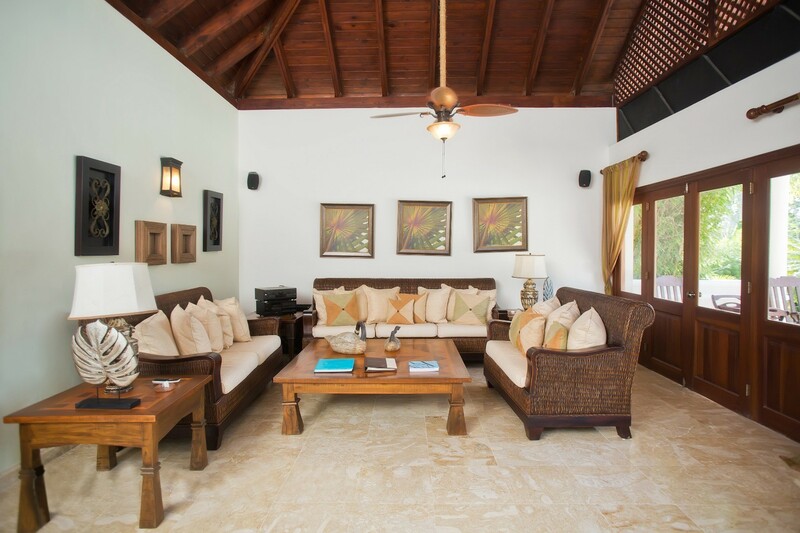 The airy living room features high wooden ceilings, gorgeous oversized furnishings and cool marble floors that encourage you to take in the view and relax in style. Nearby, the large formal dining room allows you to continue to enjoy the views and is just steps from the impressive, gourmet kitchen. 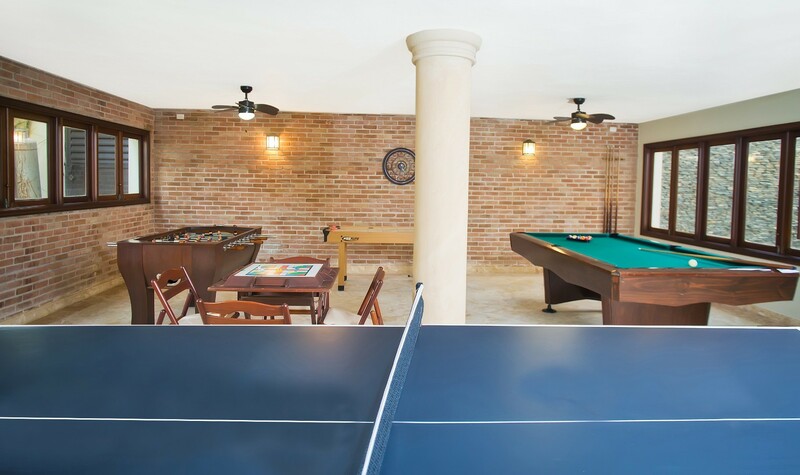 From the terrace or the villa, you can access the enormous games room with its table tennis, air hockey, board games, and billiards, it guarantees hours of fun for guests of all ages. There is also a bar and patio here. 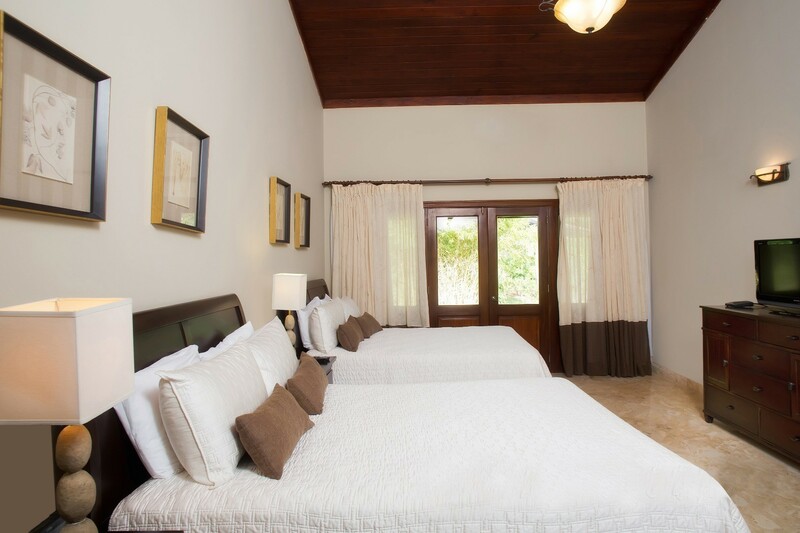 The five bedrooms include three suites with two double beds and large private baths. 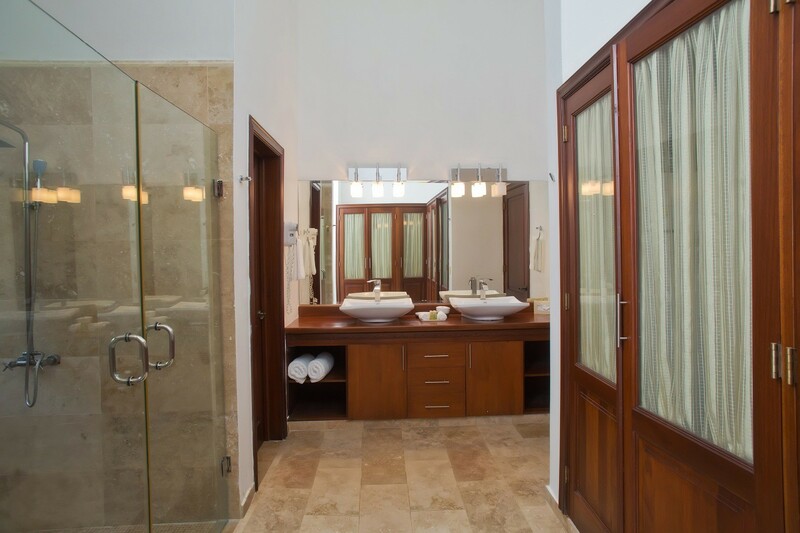 There is a queen suite and also a master suite with a king bed and private garden access as well as a private bath. All of the suites feature entertainment systems. 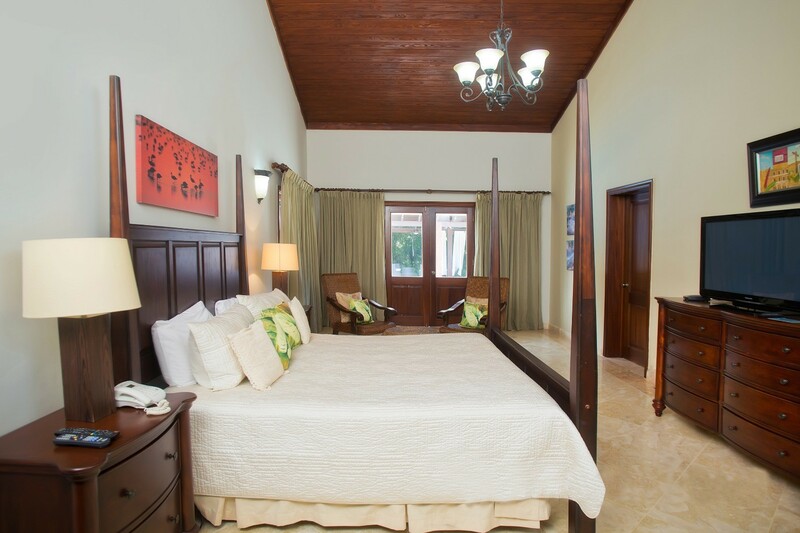 The Villa Los Cisnes features a household staff that includes a concierge, butler and housekeeper. Daily breakfast service in the villa is included, and all guests can enjoy everything the amazing resort makes available. 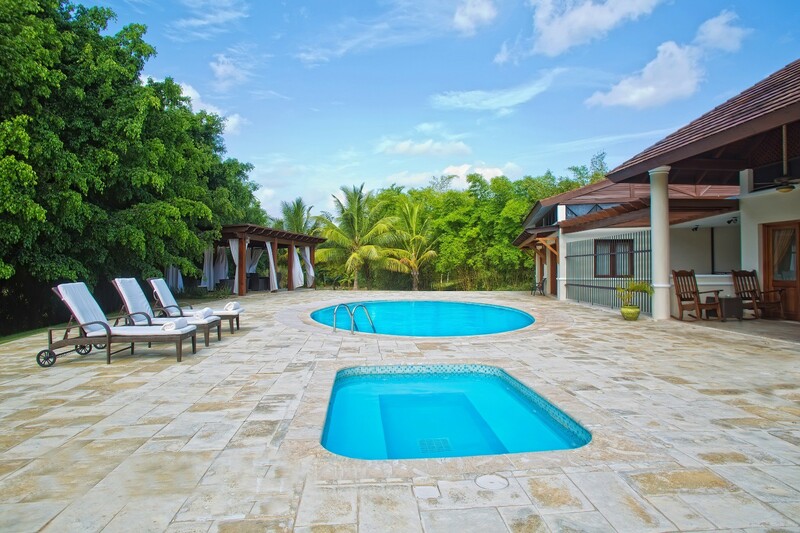 Maximum Occupancy: 5-Bedroom Villa - 10 adults & 5 children or 11 adults (extra fee apply per person over 10 guests staying at the villa). 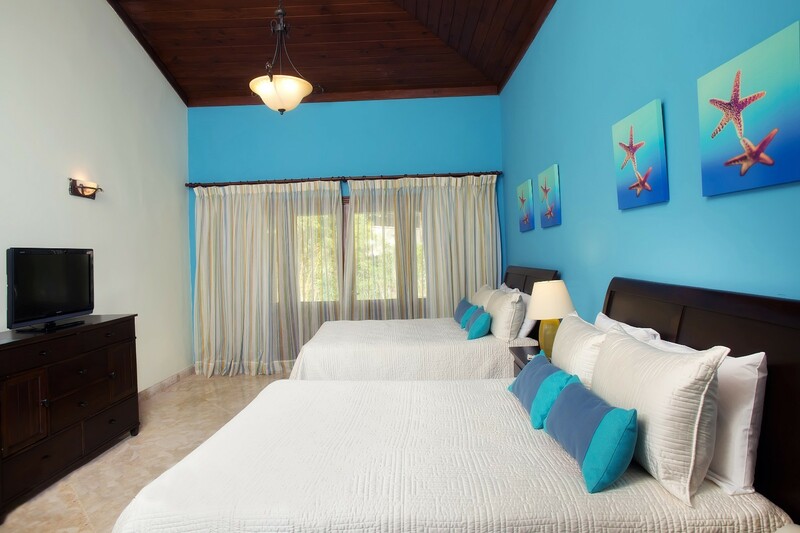 Bedroom 1: Master bedroom with a king-size bed, A/C, cable TV, seating area, access to the garden and en-suite bathroom with bathtub, walk-in shower, double vanity and WC. 2 guests maximum. Bedroom 2: Bedroom with a queen-size bed, A/C, cable TV and en-suite bathroom with walk-in shower, double vanity and WC. 2 guests maximum. Bedroom 3 - 5: Bedroom with two double beds, A/C, cable TV and en-suite bathroom with walk-in shower, double vanity and WC. 2 guests maximum.